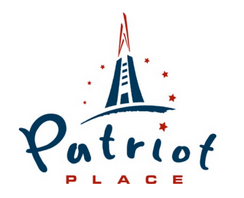 Patriot Place is offering guests two great ways to celebrate Patriots’ Day on Monday, April 21. The shopping, dining and entertainment destination is hosting its annual Photos on the Field event from noon to 3 p.m. to benefit Cradles to Crayons. Guests can make Patriots’ Day unforgettable by taking a photo on the field of the three-time Super Bowl Champion New England Patriots and a visit with the Patriots Cheerleaders and Pat Patriot. Admission for the event is a donation of a new or gently used pair of youth jeans or a $20 donation to Cradles to Crayons. One admission grants field access for up to four people. At 2:30 p.m., the popular Speaker Series at The Hall at Patriot Place presented by Raytheon will feature New England Patriots kicker Stephen Gostkowski. Tickets are $25 and include admission to both The Hall and Speaker Series event inside The Hall’s Raytheon Theatre. Gostkowski will engage in a question and answer period followed by signing one autograph per person. Guests are permitted to bring one item to be signed or The Hall will provide a photo of Gostkowski to be signed. For more information, including ticket information, visit www.TheHallatPatriotPlace.com/news-article/1265/gostkowski-speaker-series. Patriot Place is a shopping, dining and entertainment destination located adjacent to Gillette Stadium in Foxborough, Mass. Patriot Place features large and boutique retailers, 17 casual to high-end restaurants and other nightlife venues. Among the highlights of Patriot Place are New England’s first Bass Pro Shops, a state-of-the-art, 14-screen Showcase Cinema de Lux, the 16,000-square-foot CBS Scene Restaurant & Bar, the award-winning Hall at Patriot Place presented by Raytheon and the four-star Renaissance Hotel & Spa at Patriot Place. For more information, visit www.patriot-place.com, follow Patriot Place on Twitter (twitter.com/patriotplace) or like Patriot Place on Facebook (facebook.com/patriotplace).